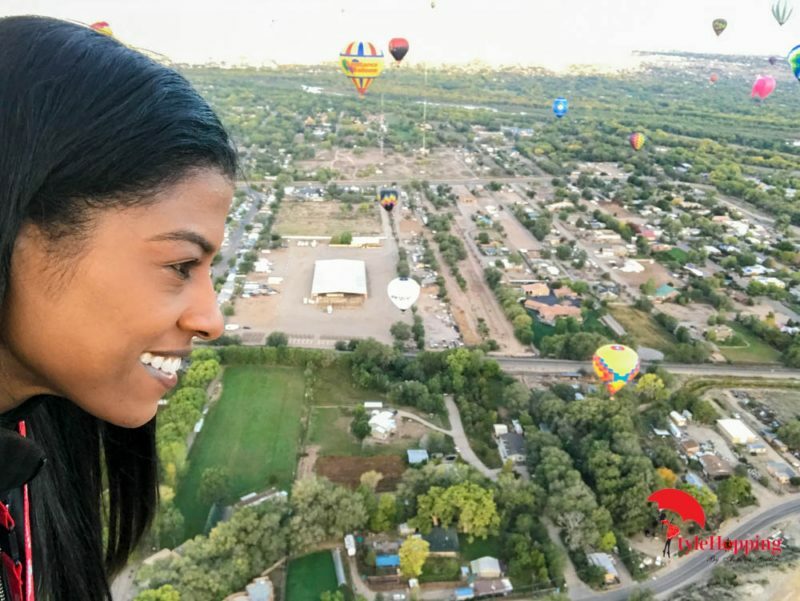 During the nine days that the festival last, hundreds of balloons fill the skies during mass ascension floating beautifully over the city. 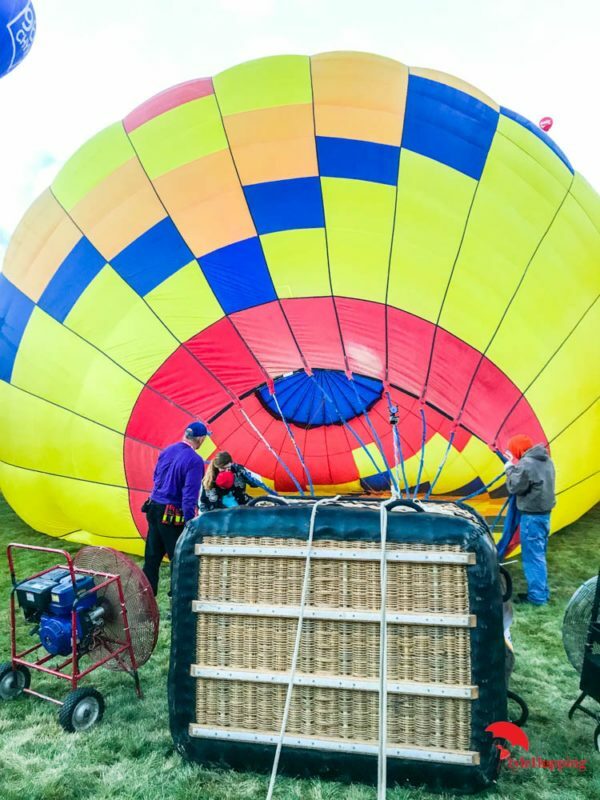 Spectators can walk around the Balloon Fiesta Park and feel the heat from the ignition and the air from the inflation process too. 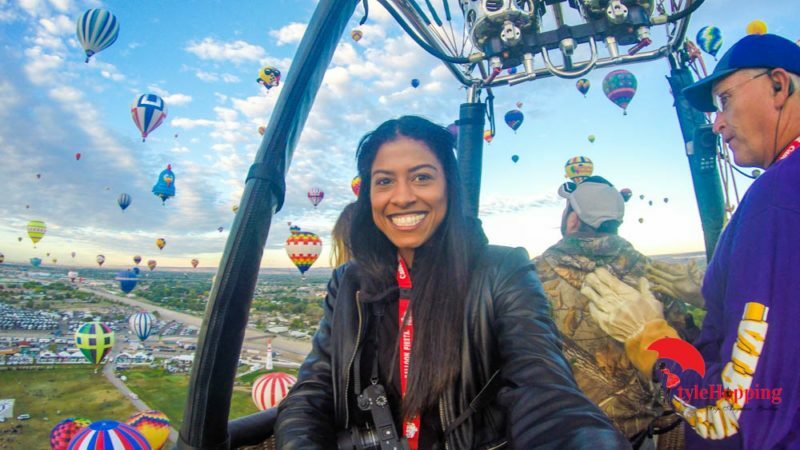 This Hot Air Balloon Festival has become a tradition for ballooning fans who every year visit Albuquerque to enjoy this magical event. Nine commercial airlines flight to Albuquerque International Sunport. Make sure to plan ahead of time to get a flight not too expensive. I got my ticket for $361 roundtrip from New York just a few weeks in advance. 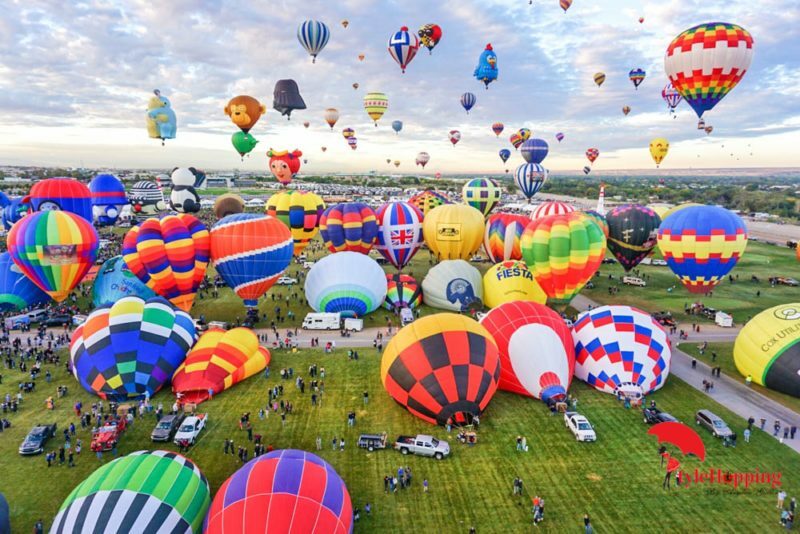 The airport is only 18 minutes away from Balloon Fiesta Park. Car rentals companies are available throughout the city and shuttles from the terminal to the car rental center travel frequently to accommodate travelers. 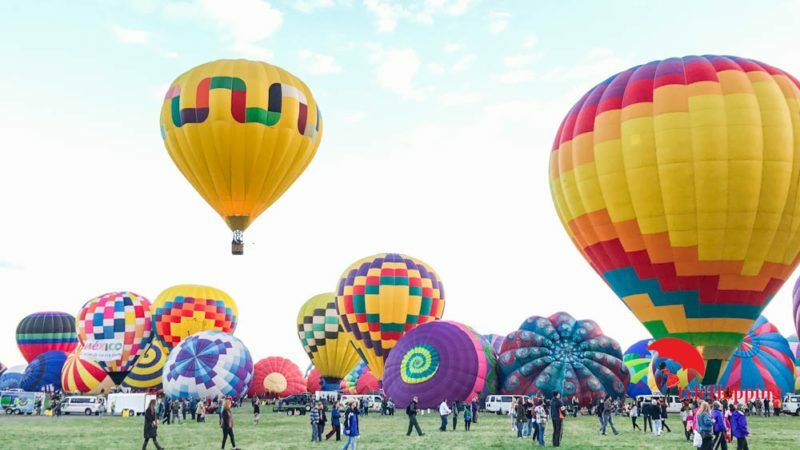 Balloon Fiesta also offers Park and Ride locations throughout Albuquerque to take you to Balloon Fiesta Park; Balloon Fiesta tickets are available as early as June. The Alvarado Transportation Center offers ABQride, the New Mexico Rail Runner Express Commuter Rail Line. Amtrak and Greyhound lines also stop in Albuquerque. Taxi service is available at the airport. During my stay, I rented a car with Turo; I paid $35.00/day plus $11.00 insurance. I highly recommend it if you would like to rent directly from the owner with less paperwork/requirements involved and a very easy/secure transaction. Use my code for a $25 travel credit. I was assigned to be in the team of the pilot Tim Cloyd from Runnells, Iowa. He is the owner of Glorious Drifter, and he has been flying since 2007. 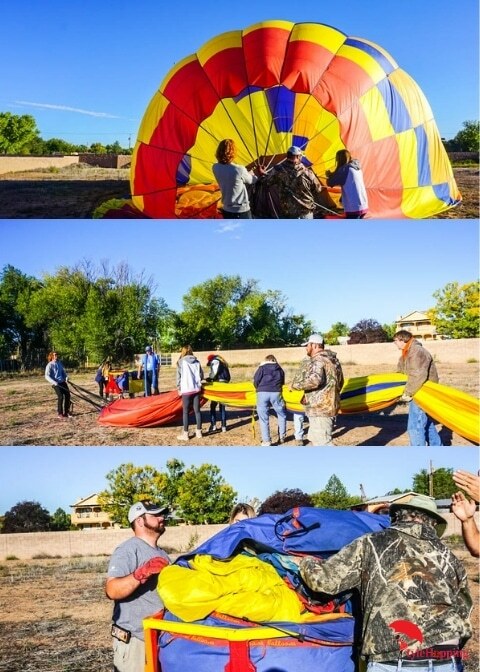 Tim participates in several balloon events through the year all across the USA. He also flights his balloon for a significant cause, Cancer. ‘Extreme Flight to find a cure”, it is a flight that will reach altitude as high as 17,000 feet, from 100 to 400 miles. Anybody can honor someone who is dealing with Cancer. It was a delight to flight with Tim and his team. You will not get bored during this festival. 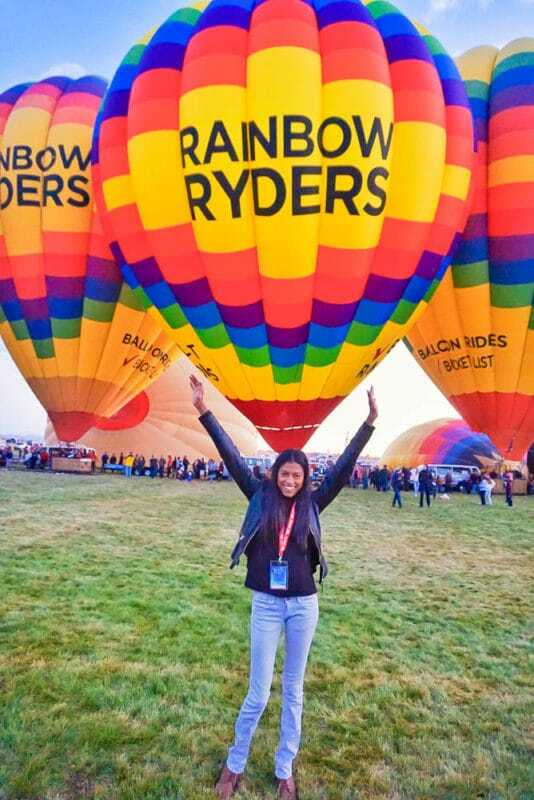 You will find tons of activities to do, you can buy authentic souvenirs from the area, enjoy live performances, learn from the sponsors, take bucket-list pictures, and the most exciting one is to ride the most beautiful hot air balloon! 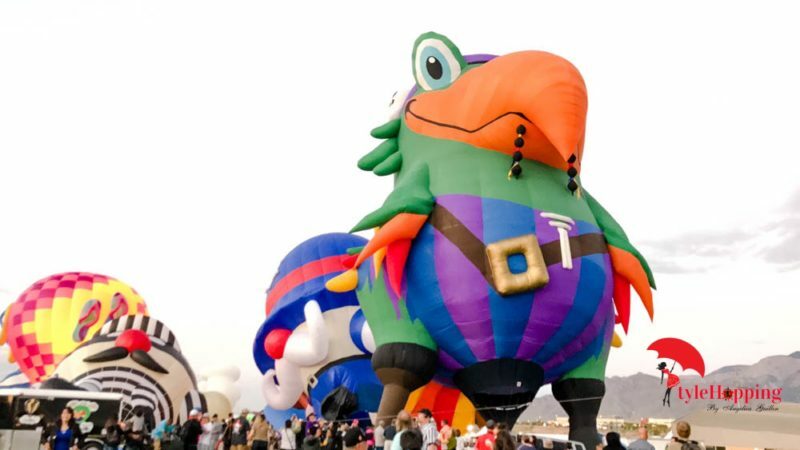 The Balloon Fiesta Schedule of events varies from morning to night. Dawn Patrols are sent daily early morning before sunset to examine the weather conditions and to give the green light for the Mass Ascensions. 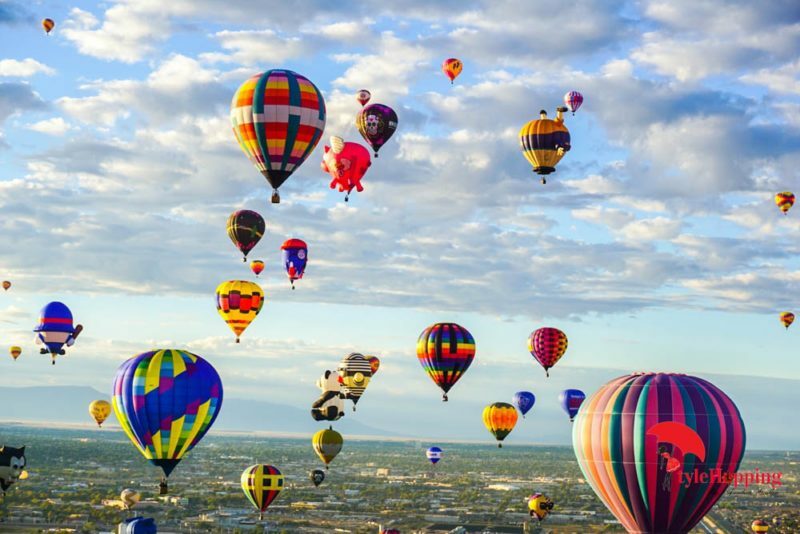 The incredible Mass Ascensions of hundreds of hot air balloons launching in 2 waves adorning the skies of Albuquerque, the show last up to two hours. Flight of the Nations is a mid-week Mass Ascension showcasing all the countries participating. Each pilot will have the flags of all 16 countries part of Balloon Fiesta this year. In weekdays, competitions are also very entertaining to watch. Judge Declared Goals: Pilots will fly at least one mile from the launching field to designated targets. 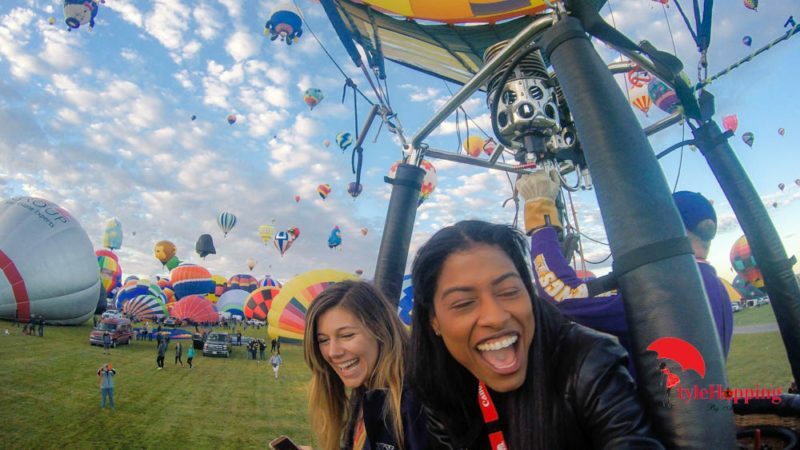 During Ring Toss pilots will fly at different altitudes avoiding collapsing with the other balloons and will try to place the ring over one of five tall poles all across the field to win fantastic prices. 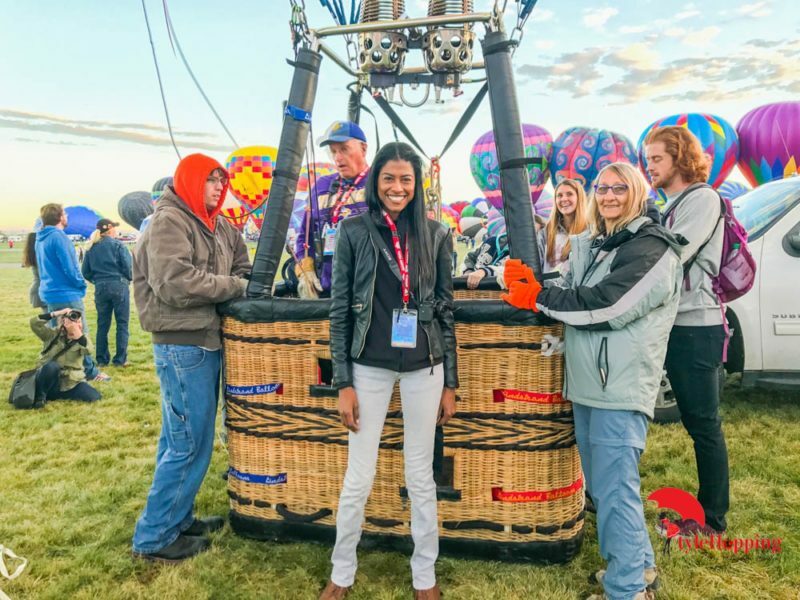 Also, fly-in-task is a delight to watch when Pilots must drop a weighted marker on a specified target within Balloon Fiesta Park at only inches to 200 feet from the ground. One of my favorites events is Balloon Glow and Glowdeo in the evenings. 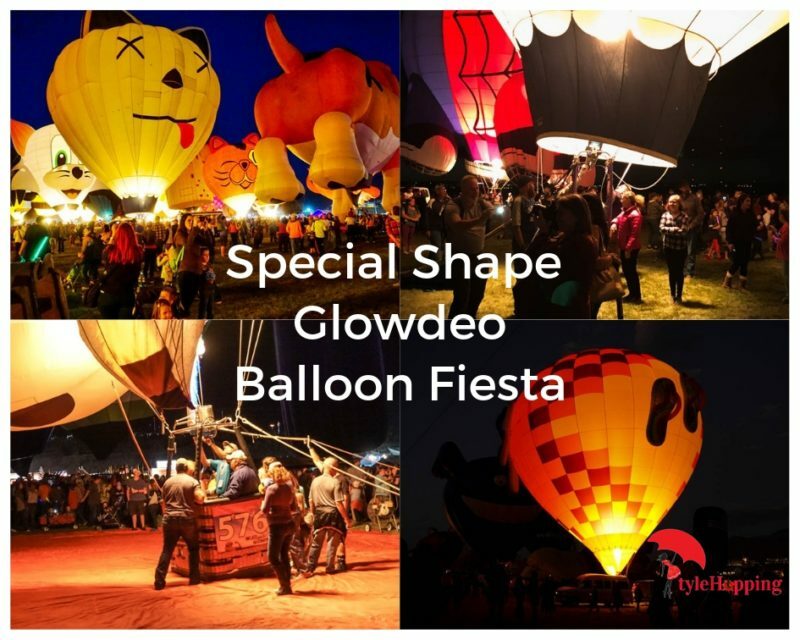 Standing balloons illuminate the dark field and the sound of the burners inflating and lighting up the balloons with different shapes, sizes, and colors is an unforgettable experience. Don’t forget to stay for the fireworks spectacle after. Make sure to dress with layers. The events are exteriors and some start as early as 6:00 am with temperatures between 20-40 F. Also comfy shoes are a must, you will be walking around and standing must of the time. 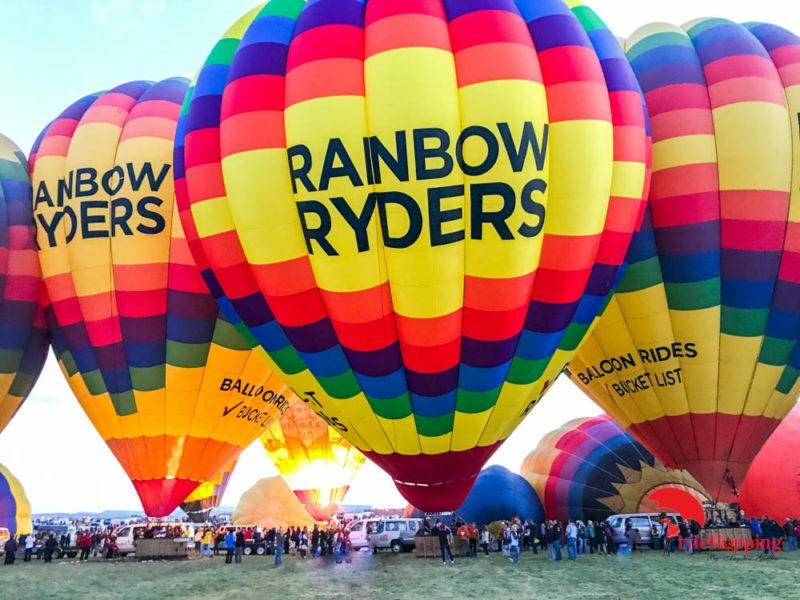 Hot Air Balloon Ride: Reservation needed with Rainbow Ryders. To ensure your lodging accommodations make sure to book a room with enough time in advance, thousands of people visit the city for the Festival making it very difficult to book it if last minute. Albuquerque has several hotel options for different budgets. 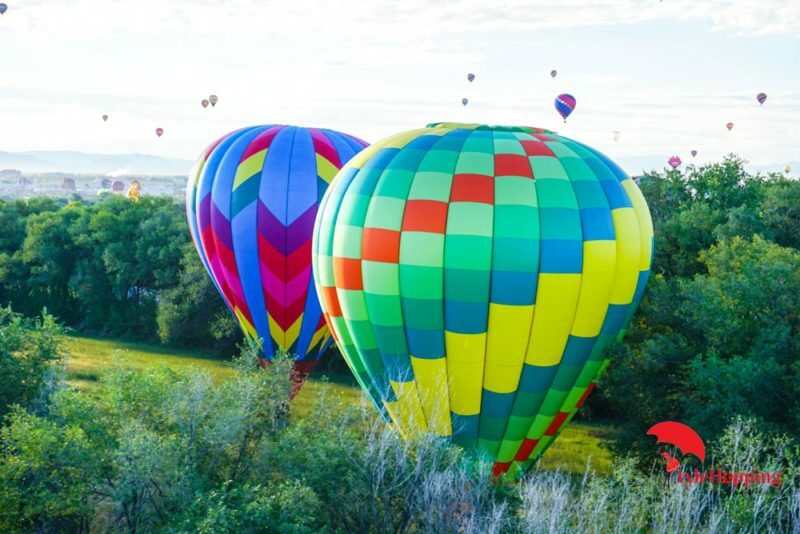 You can also find hotel offers and event discounts on the official Balloon Fiesta website. A great alternative for smaller budgets is to rent a room/home with Airbnb; there are many hosts all around the city. I found a great deal for $32/night, a room in a beautiful home, just 15 minutes from Balloon Fiesta Field. 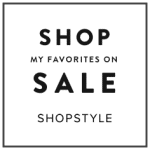 For first time users, use my code and get $40 in travel credit. Visitors can enjoy an authentic Southwestern experience with more than 20 museums and cultural centers, a historic old town that can be explored in a trolley, with over 150 stores, galleries and restaurants specialized in the acclaimed New Mexican cuisine. 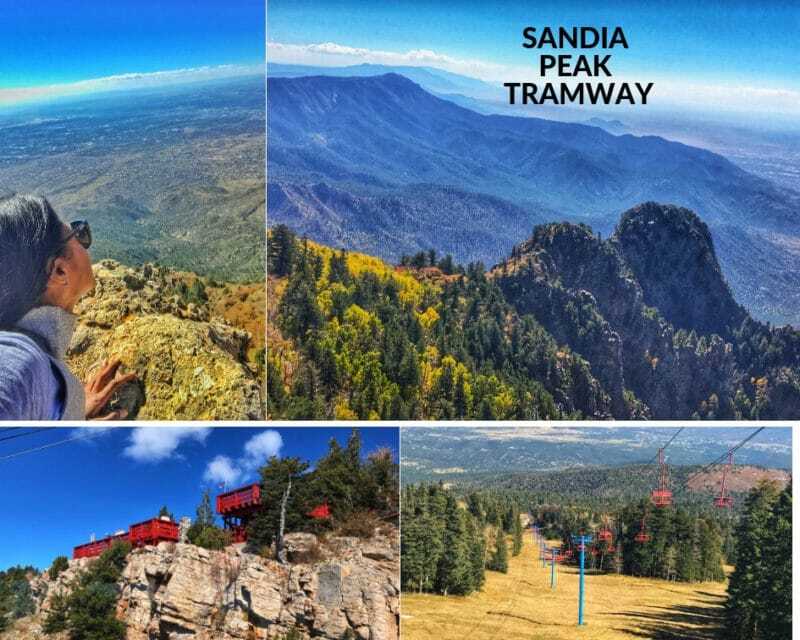 I had the pleasure to visit during my stay the Sandia Peak Aerial Tramway and Ski Area, a popular destination during Winter and it is considered North America’s longest aerial tramway. The ABQ Bio Park is also a great attraction to visit, with four facilities: Aquarium, Botanic Garden, Zoo and Tingley Beach. 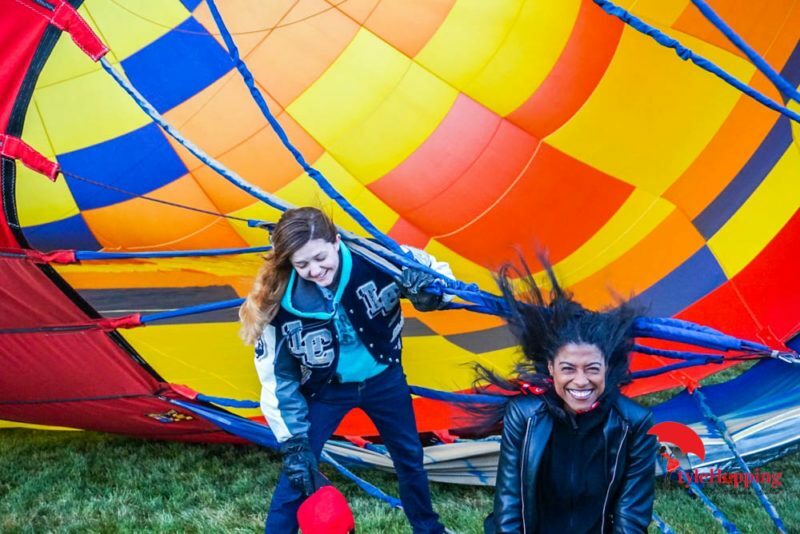 Balloon Fiesta is a family event not to miss. It should be experienced at least once in your lifetime, and you will not regret it! I had so much fun planning the trip and also during the festival. 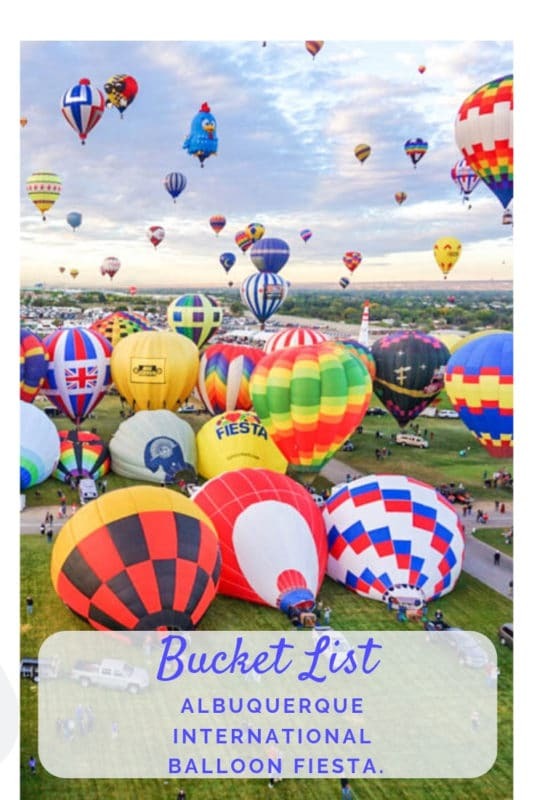 Let me know if you have any questions, and I will be happy to help you plan your bucket-list trip to Albuquerque International Balloon Fiesta. 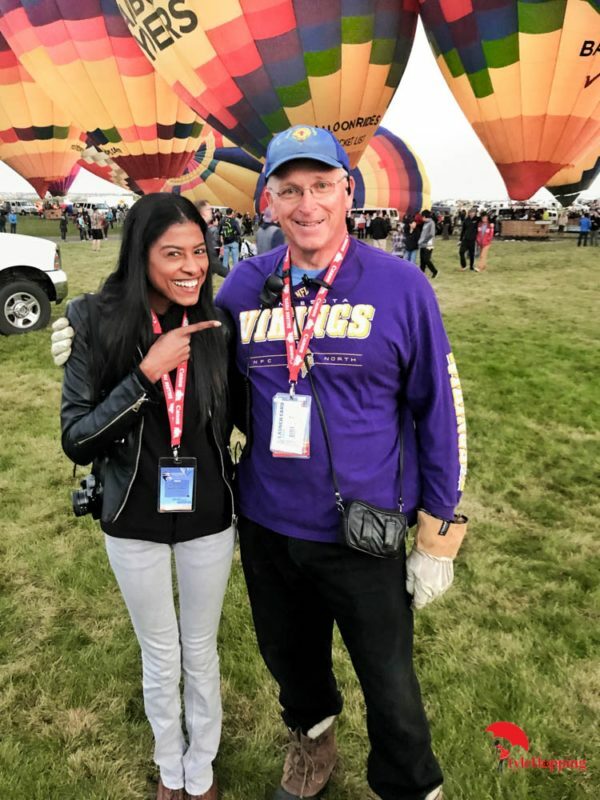 Special thanks to the Media Team at Balloon Fiesta, Tom Garrity and Amanda Molina for all the accommodations to cover this magnificent event.